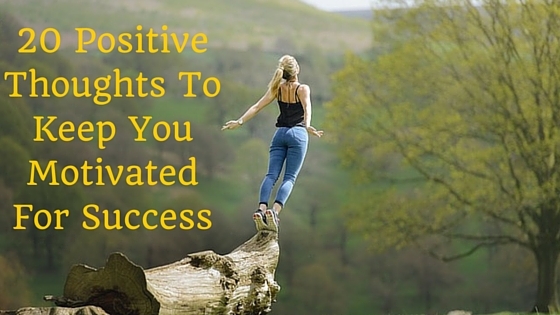 Here are 20 positive thoughts that will keep you motivated for success (With Slideshare Presentation). You will be definitely inspired by these thoughts. Read these positive quotes & If you like, please share on your social profiles. Don’t forget to tell us, which one is your favorite thought!